Mickey and Meg are not the only ones reading around here. Mattey reads daily for school. 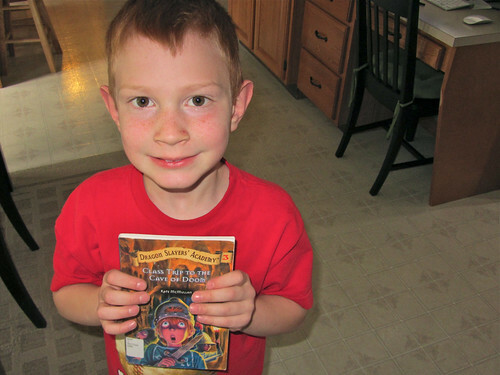 Kade and I have been reading a new series our friends recommended, Dragon Slayer's Academy. We are now on the third book. In this series there are oddly named people, a pig that speaks pig latin (that's a lot of fun to read out loud), and a soft hearted hero who accidentally kills dragons.